AirGo Wheels are nothing without the riders who make them come to life. Below, you will find pictures and comments from customers who have come to realize the philosophy of AirGo first-hand. If you would like to add your experience to this page, please email AirGo. 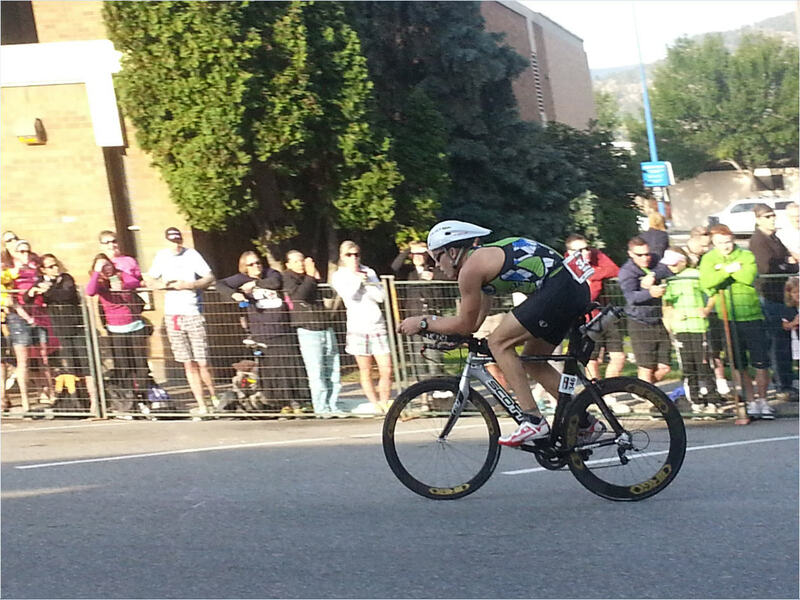 This is Nick on his Race Elite 66.C rear/RacePro 46.C front competing in the IronMan Canada. Two days after suffering food poisoning, Nick still finished the race 11th with the best swim time and an amazing bike split. A lot can happen in 112 miles. With the Airgo carbon clinchers I get the performance of a lightweight aero wheel with the advantage of a quick flat repair. The wheels performed great and it was an awesome bike ride so thanks a million. You’re welcome, Nick. We’re proud to have AirGo represented by such an amazing athlete!